WASHINGTON — The “Where in the World is Edward Snowden” sweepstakes is now over. Trapped in an airport terminal, it seems that Edward Snowden is no longer wanted by the majority of countries in the world. Reuters reports  that NSA leaker Edward Snowden has run out of room to run, as his applications for political asylum have been denied in almost every country that he applied to. His list of at least a dozen countries is shrinking fast. Apparently, Snowden is also withdrawing his asylum request from Russia, after President Vladimir Putin emphatically said he will not extradite Snowden to the U.S. and considered giving Snowden asylum  there. U.S. President Barack Obama has been embarrassed by Putin , who has sheltered Snowden  for the two weeks. Even Ecuador, which was processing his request, has not accepted Snowden. Only Venezuela’s Socialist President Nicolas Maduro, Hugo Chavez’s handpicked heir apparent, has come to Snowden’s defense. Maduro said that Snowden “deserves the world’s protection” and that the “United States is persecuting him” for “preventing war”. 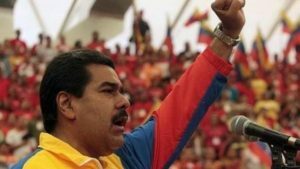 Maduro’s recent election  stirred months of controversy, but has since died down after the country’s pro-Maduro electoral board refused to recount  the closest vote in Venezuelan history.